It’s already breeding season and we’ve seen and heard lots of bald eagle breeding behaviour just outside our office windows! This is a crucial time for the eagle pairs to settle in their nests before raising eaglets, and the eagle pair nesting in the tall fir tree beside Malkin Bowl has returned for another season. During this time, eagles are highly territorial. 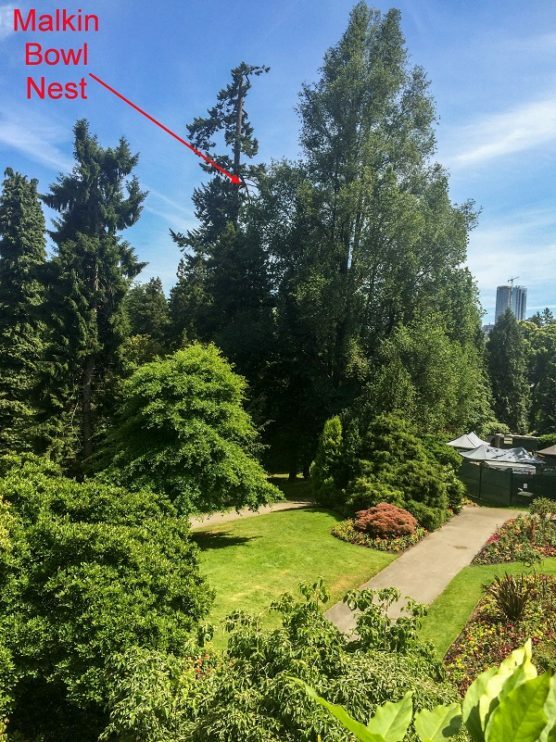 They will scope around their nest and protect the area from other eagles. Eagle pairs commonly reuse the same nest year after year, however, many eagles maintain alternative nests within their territory. If their surroundings become too disruptive (e.g. 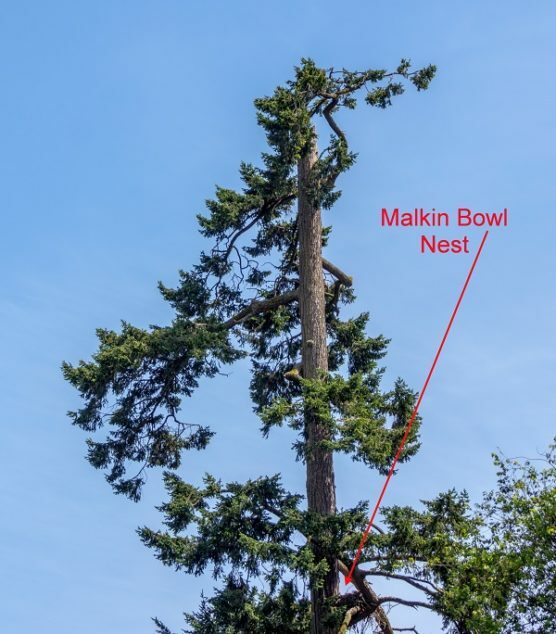 loud noises, drones, people climbing their tree) or if the branches supporting their nest become weaker, the eagles might consider using a different nest site. If a nest is damaged, bald eagles have been observed to set up a new nest within only a couple of weeks. This is fast considering that bald eagles build the largest bird nests in the world, up to 2 meters wide! At this time, there are at least three pairs of returning eagles nesting throughout the Park, and possibly a fourth. 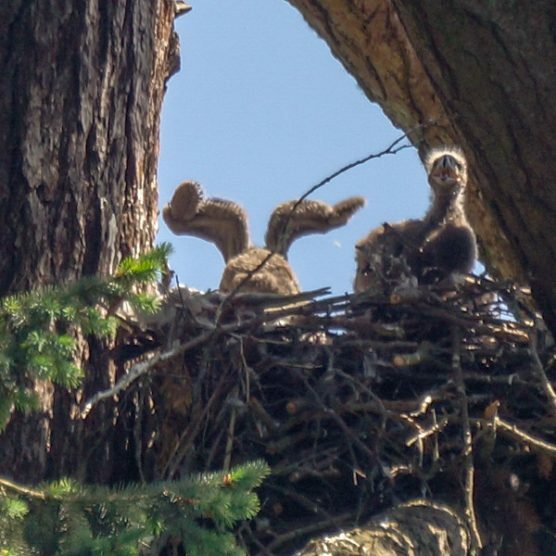 Keep your eyes open in April for little fuzzy heads popping out of their nests up on tall Douglas fir trees! Also, remember that as mighty as bald eagles appear, they are still sensitive to disruptions. Click here to get the bald eagle nesting calendar and make sure you don’t miss the action!